Websites That Make Your Phone Ring! Our team of web designers and graphic artist will work with you to design a unique and beautiful WordPress website that you will be proud to promote. We can use your existing logos and graphics or help you brand your business with new logos and branding materials. Search engine optimization is the art and science of getting your website to appear at the top of list when people search on search engines. It’s no accident that a website appears at the top of the list and our goal is to help you make your website profitable. We offer managed WordPress hosting designed to keep your website functioning well and with the proper security measures in place. Our services include all updates, backups, security scans, up-time monitoring and more. Alaska SEO is a full service Alaska website design and Search Engine Optimization company in Wasilla, Alaska. We offer custom website design and optimization for small to medium size businesses. Our web design and optimization team can help you develop a vital internet marketing strategy that will make your phone ring. Not all website and optimization companies are equal, so choose a team that can build your business website with SEO optimization in mind from the start to get real search engine results. At Alaska SEO, we believe in personal contact and doing the necessary research to assure that you get the result you want and need from your website. Client interaction is essential to a successful website building and SEO campaign. That exactly what Alaska SEO is known for, building, optimization, and ranking websites that bring new business to our customers. In addition to web design, we optimize sites for top search engine rankings. The truth is, a search engine won’t see your site unless your website has had the proper optimization done to it. 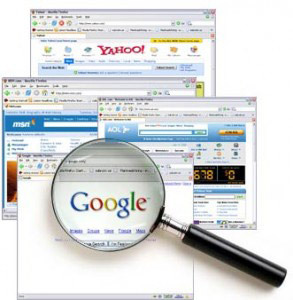 Some of the search terms we’ve done optimization for include; Alaska fishing guides, Alaska hunting guides, Alaska bear viewing, Alaska carpet cleaning, Alaska fishing tackle, Alaska attorneys, Alaska indie rock bands, Alaska sheetrock contractors, Anchorage landscaping and more. At Alaska SEO, we customize each website and design to fit the individual needs of each client and perform optimization for search engine ranking accordingly. No design is the same, each design is unique, and no internet marketing target is the same so individual optimization and website and design is necessary. The team at Alaska SEO specializes in website design, Search Engine Optimization, and managed hosting solutions for small to medium size businesses. These days it’s easy to find someone to build a website, but if no on can find it, your website does you no good. Alaska SEO first began as a SEO company but we quickly realized that most of the websites being built today are not designed with SEO in mind. After years of patching up and fixing up websites that other web designers built, we decided to begin building websites specifically designed for search engine optimization from the ground up. Alaska SEO exists to provide our customers with personal one on one website design and SEO services. People wonder if SEO is a gimmick or if it really works. Others say there is no longer a need for SEO or any type of optimization. The truth is that as long as search engines like Google, Yahoo, Ask, Bing, and others exist there will be a need for good SEO to make sure the search engines can find your site. SEO is the art and skill of optimization, putting the right stuff in the right design, to make the search engines notice the website and rank the website accordingly. Each search engine is different which means optimization for search engines combines a little bit of a science, math, and understanding of website construction. Optimization is about making the search engine recognize your website and sort it to the top on the stack when someone does a search for your keyword on that search engine. The bottom line is, SEO WORKS! Websites in the top 5 positions of organic search engine raking get 65% of the clicks on that search engine. 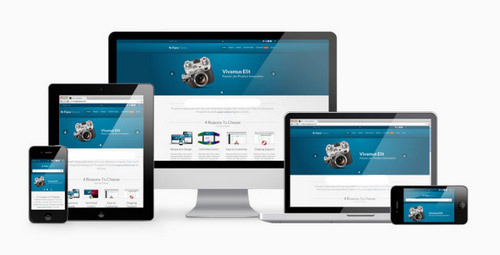 A website that is designed well and optimized will rank well and will MAKE YOUR PHONE RING! We are a small family owned and operated website creation, design, and Alaska SEO service based in Wasilla. We have lived in Alaska and done business here for nearly 25 years. We know and understand Alaska and the unique challenges of doing business in Alaska. Our goal is to provide the same kind of care to our customers that we would want to receive ourselves if our Alaska business needed a website or SEO services.